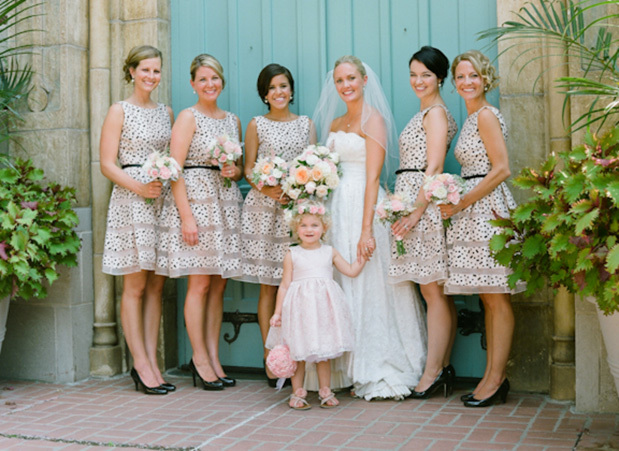 One of our favorite things to see in a wedding is a fashionable bridal party! 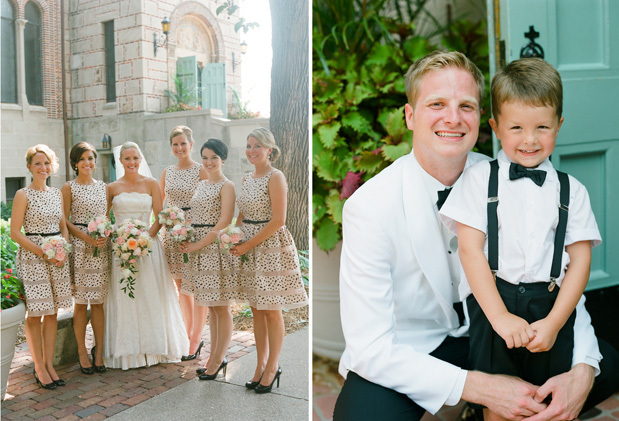 Brittney and Jim’s wedding has us falling hard for these incredibly fun polka dot bridesmaid dresses (with tuxedo clad groomsmen–you know how much I love a man in a tux!). 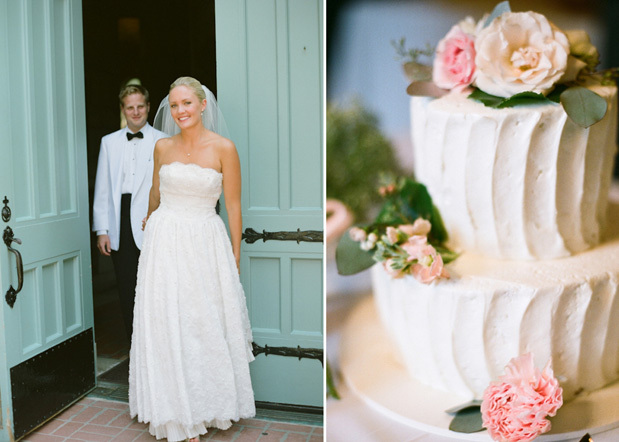 So when you throw in a gorg bride and groom, how could we not be completely obsessed? These dresses are making us giddy. Literally. 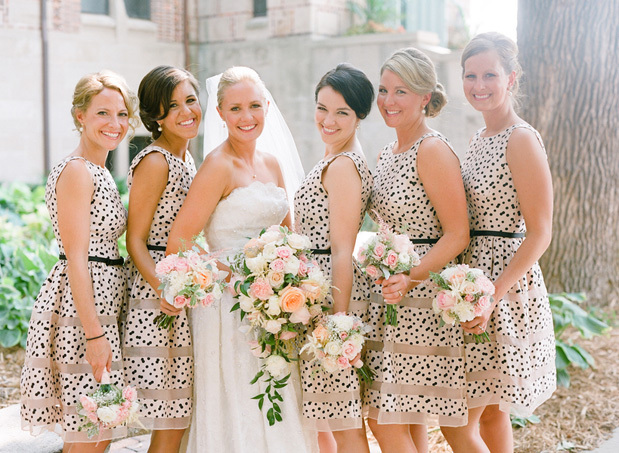 So while this particular dress is no longer in stock, embrace the idea of spicing up your bridesmaids with polka dots! Very special thanks to Amy Majors Photography for sharing her work with us! Be sure to read the tid bit from the beautiful bride, Brittney about her sentimental wedding inspiration. I grew up admiring the black and white wedding photos of my grandparents. I always knew I wanted my photos to resemble that timeless era. I found my dress in a vintage shop in uptown. The shop owner had no specific history for it but dated the style to be circa 1950s. Jim picked a white tuxedo coat and bow tie and from there the tone was set. A classic chapel neither mine nor his but “ours” was found at St. Catherine’s University in St. Paul. The James J. Hill Library was chosen as a reception venue because it felt like you were truly walking back in time. Antique jars, milk glass, old books and candle lit lanterns decorated the tables. We love how our photos captured every beautiful moment. Brittney's vintage dress is beautiful and she looked amazing in it! Beautiful wedding! The pictures are amazing! 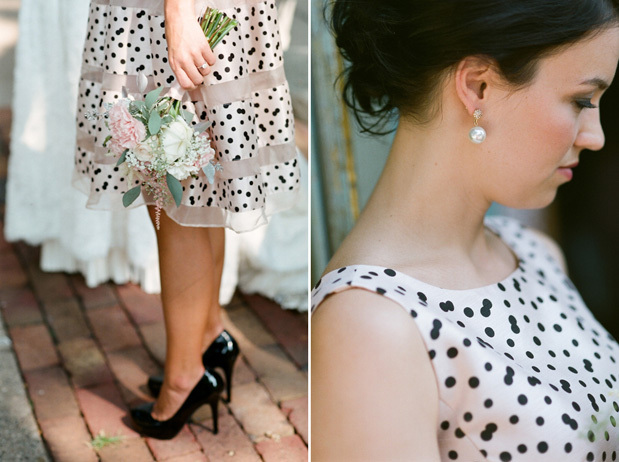 LOVE LOVE LOVE those polka dots! 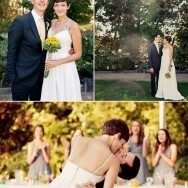 Of course, another beautifully photographed wedding by Amy Majors! So inspirational! As a bridesmaid dress designer, I'm putting this on my pinterest board. I love when brides do something a little different! Those polka dot dresses are too fun! Love the whole feel of the wedding, and Amy did an amazing job (as always!) capturing their story. Beautiful! Loving the dots...they make a statement and yet the bride has full center stage....great choice! Fun bridesmaids dresses, great looking groomsmen, darling ringbearer and flower girl, yet all eyes were on the beautiful bride Brittney. Amazing. Beautiful vision from a beautiful bride! LOVE the BM dresses! So trendy with that awesome fun element! The bride's gown is uber fabulous and the slightly vintage/retro overall look of the wedding is unique and definitely out of the ordinary! 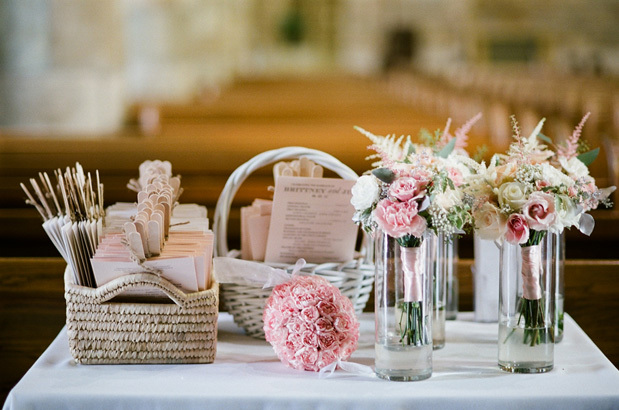 There are so many things to love about this wedding! Love the bridesmaids dresses and that the groom wore white! It really has them stand out. Beautifully done. 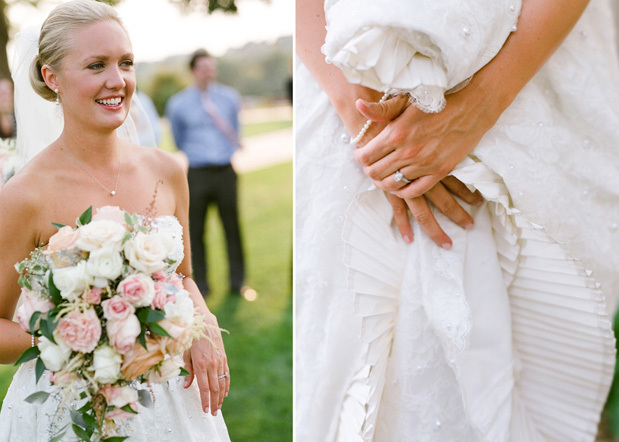 Amy Majors, thank you so much for capturing our dress so beautifully! We're always proud to see our dresses on lovely women as they share a wonderful life experience, and we adore how Brittney paired contemporary bridesmaid's dresses with her vintage gown. Bravo! Can someone please tell me where I can find these bridesmaid dresses? I LOVE them! I love the polka dots! So cute and fun! IT's always nice to send a perfect gift home with your guests, I personally like custom cigars! I know you said the Bridesmaid Dresses are out of stock now, but who made them? 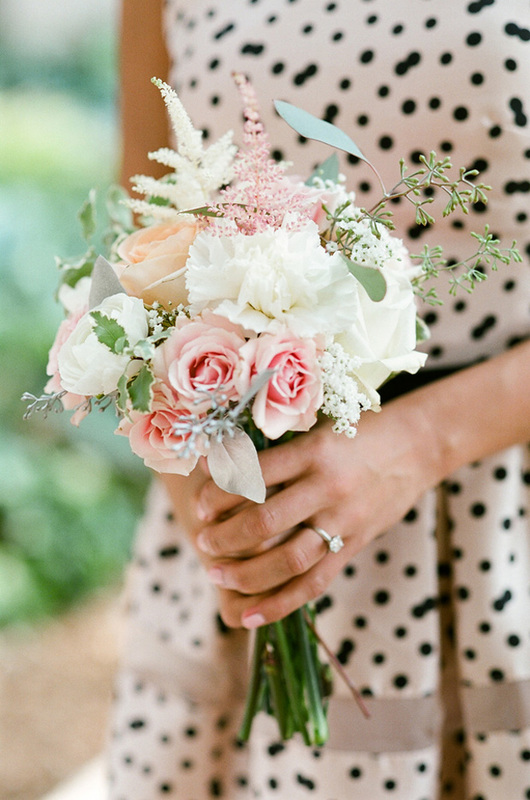 I love love love the polka dots! Beautiful wedding!! 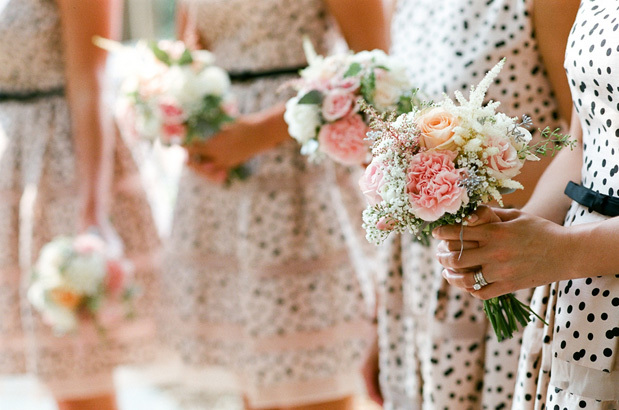 If someone said "Polka Dotted Bridesmaid dress" I would be a little skeptical... until I saw these! I love the subtle dots with neural tones and delicate slash of pale pink. Such a stunning combination. Inspiration to 2013/2014 weddings! Beautiful wedding! 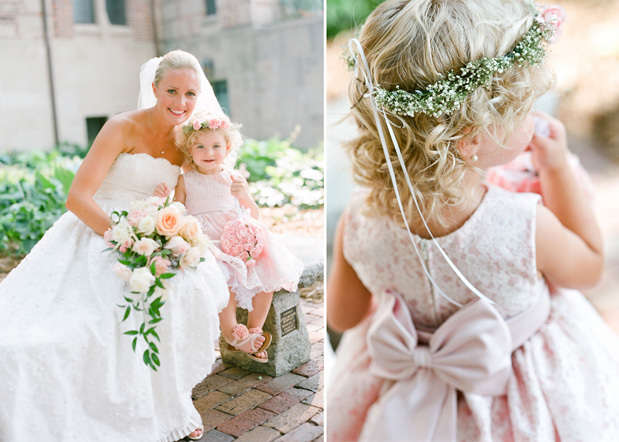 The bridesmaid dresses are simply adorable!